One lucky Celtic fan returned from Hampden with Timo Weah’s match shirt. As the Celtic players went around Hampden to acknowledge the backing of the fans the on loan forward spotted one supporter with the stars and stripes. Neatly stepping over the advertising hoardings Weah picked up the flag from the fan who got the bonus of a genuine match-worn shirt in exchange. 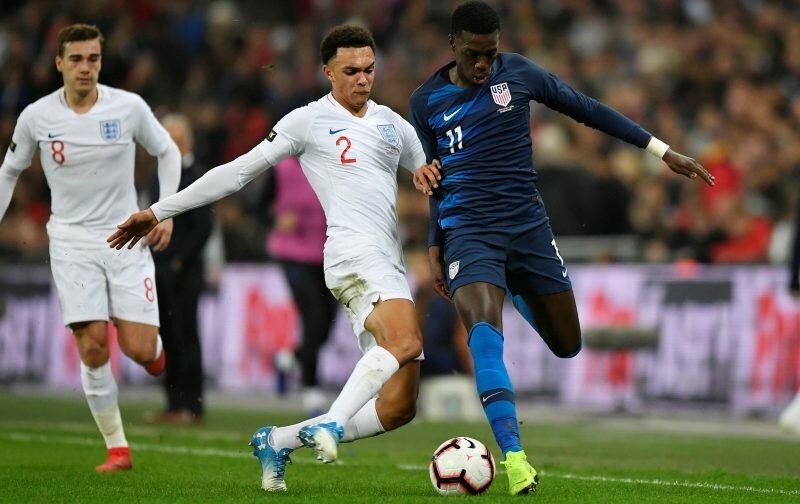 Celtic’s victory could create a club v country issue for the young forward who could be named in the USA squad for the u-20 World Cup which begins on May 23- two days before Celtic face Hearts at Hampden. Weah already has eight full international caps with the management of the USA still to decide whether he should go to the u-20 World Cup or play at the Gold Cup which takes place in June. Celtic took Weah on loan from Paris Saint Germain until the end of the season but the player has spoken positively about his time in Glasgow and appears open to the prospect of returning again next season.